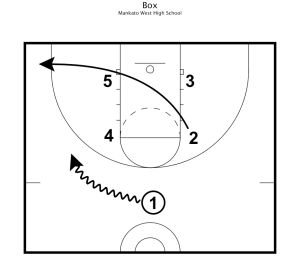 In today’s article, state champion head coach Tom Boone takes us through one of his most successful basketball practice plans. As head coach for Mankato West High School in Mankato, MN, Tom Boone had a 215-123 career record. Under his coaching, Mankato West High School was the 2004 State Class AAA champion, and the 2009 State Class AAA runner up. They were also Big 9 Conference Champions in 2005, 2007, 2008, and 2009, and Section 2AAA COY in 2004 and 2009, and the 2005, 2008 and 2009 Big 9 Conference COY. 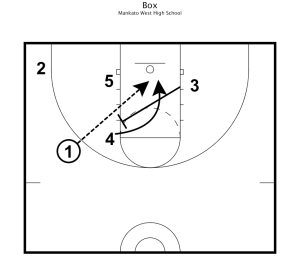 This is designed to get your point guard penetrating to the basket with a post ready to catch and finish or a three-point shot from the corner. Diagram 1. 1 dribbles to the wing. 2 cuts through to corner. 5 posts up strong on block. Diagram 2. 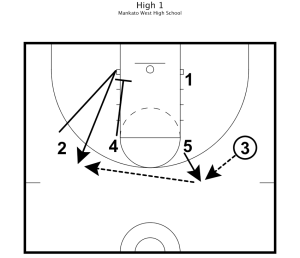 Once 2 clears the lane, 3 sets a backpick for 3. 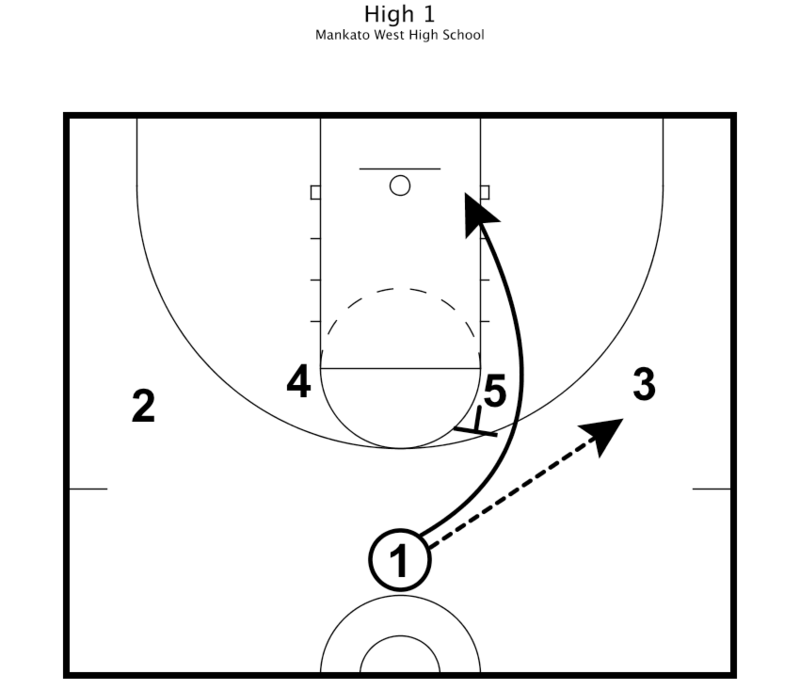 1 throws lob over the top. 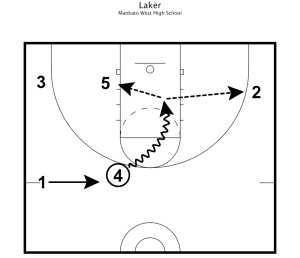 This play is designed to get a lob for a layup/dunk. This play provided us with the best dunk I have seen in a high school game. Diagram 3. 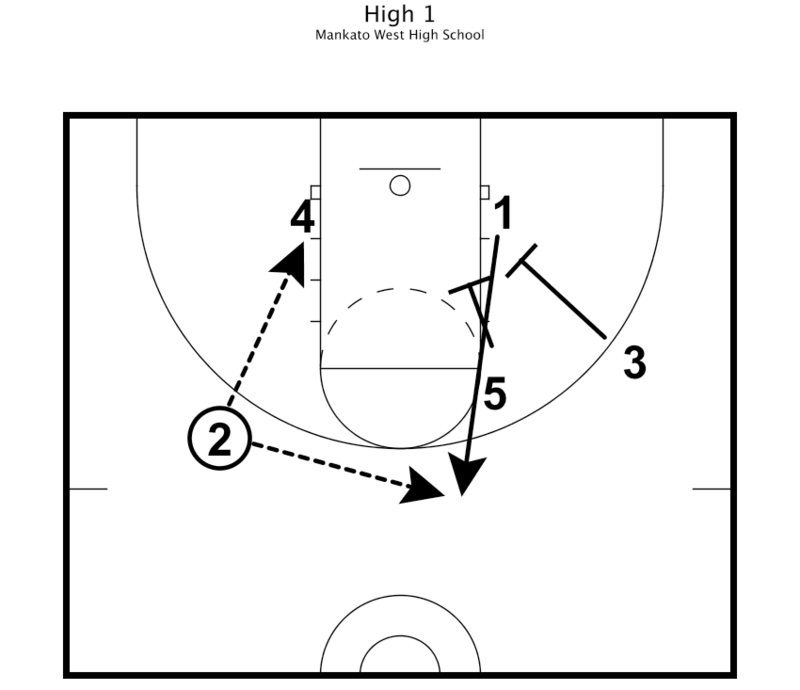 3 cuts to corner off double screen. 4 cut up to high post area. 1 passes to 4. Diagram 4. 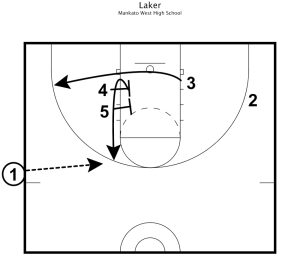 1 gets handoff from 4 and penetrates the lane. 1 looks to score, pass to 5, or pass to 2. 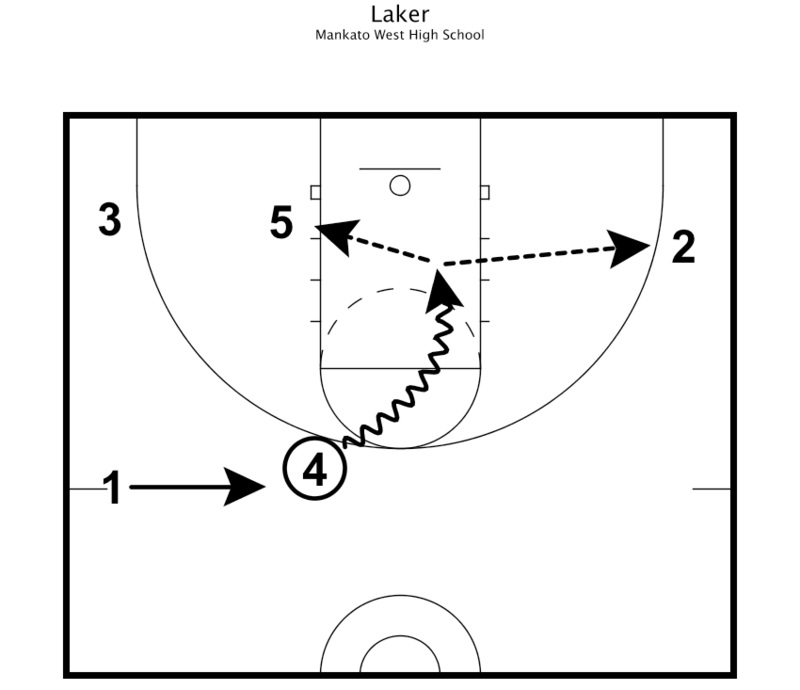 We ran this play a lot in 2004. We used it to get the ball to our all time leading scorer on the block. 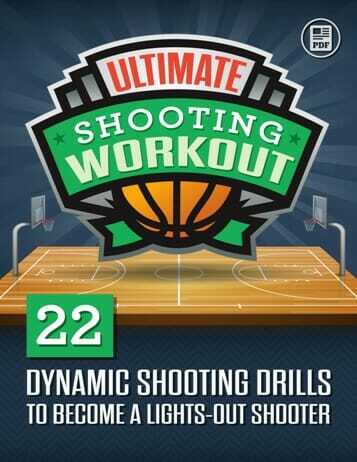 Since then, we have utilized it get that great two man action on the weak side for some easy shots. Diagram 5. 1 dribbles to the wing. 2 cuts through to corner. 5 posts up strong on block. Diagram 6. 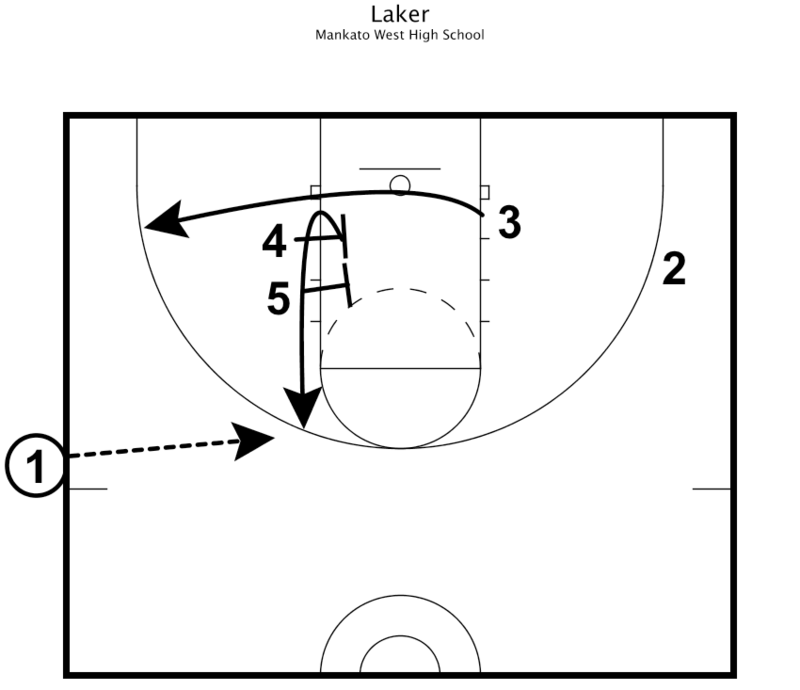 Once 2 clears the lane, 3 sets a backpick for 3. 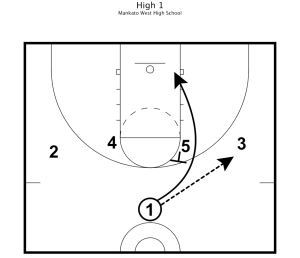 1 throws lob over the top. Diagram 7. 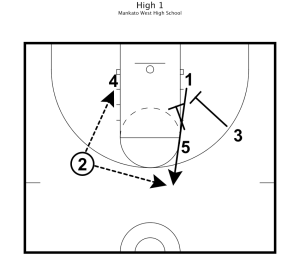 3 passes to 5. 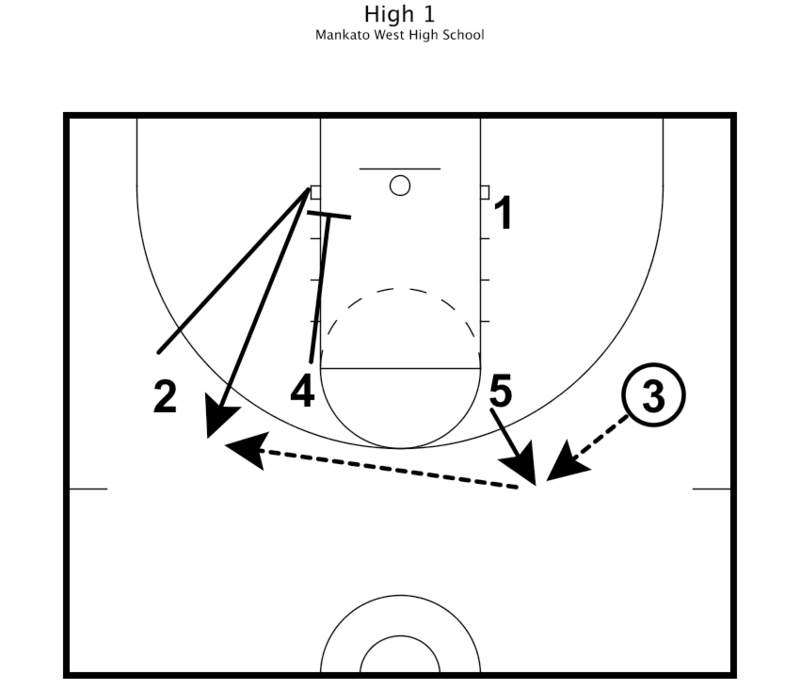 4 downscreens for 2. 5 passes to 2. Diagram 8. 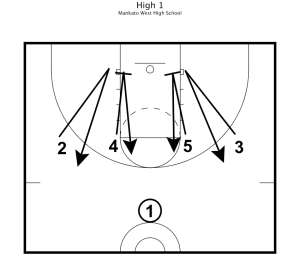 2 looks to enter into 4 or hit 1 off the double screen from 3 and 5. 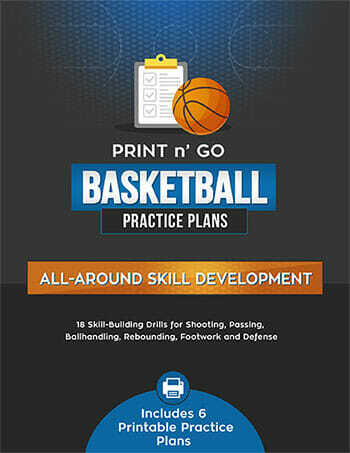 What do you think of these basketball practice plans? Like them? Love them? Share your thoughts or comments below. Want more basketball practice plans like this one? 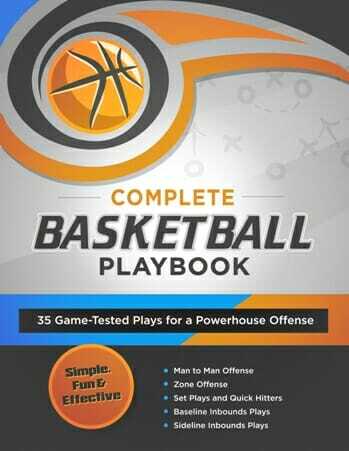 Then check out the complete collection of drills and plays from State Champion coaches by going to: http://bballsecrets.com/vault/. 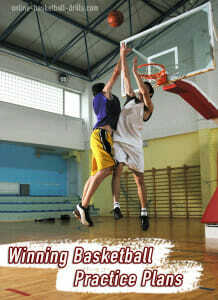 And don’t forget to Follow Me on Twitter, where I will share more great basketball practice plans and tips!